I gave myself two challenges last month, one was to learn how to embroider eyes and the other was to make one of my favorite manga characters, Himura Kenshin. 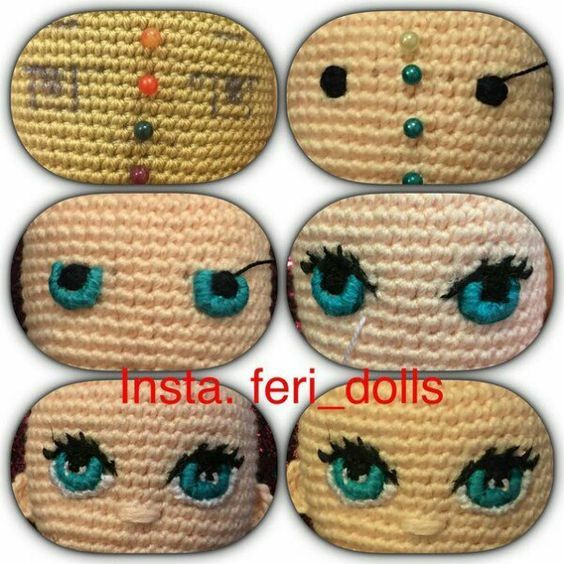 I started working on this doll at the beginning of September and finally put on the last touches yesterday. It took a lot of patience but I am very happy with the result. Himura Kenshin is a former assassin turned wanderer in search of redemption during the Japanese Meiji era. He is distinguishable by his orange hair, his purple eyes and the scar he wears on his cheek. He is a manga character that was also featured in an anime and live action series. 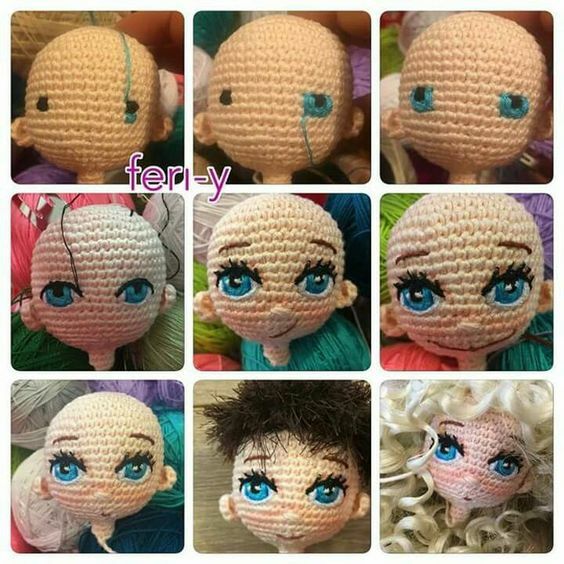 I started the doll by crocheting the head, then practiced embroidering the eyes until the face was so worn out I had to start all over again. I tried different tutorials from Pinterest and YouTube before figuring what worked best for me. It took a lot of patience and I think I spent an entire day just trying to get it right. I had the most fun with his Kimono. I love crocheting costumes, it’s always my favorite part. The skirt was not worked in rounds, I crocheted the front and the back separately and sewed both sides together with yarn. It was rather easy even though I wasn’t sure how it would turn out. The hair was quite a challenge. First of all, I had to make a decision on the color. It’s between a reddish and orange color, except for Takeru Satoh version of the character (live action) which has much darker tones. I opted for a deep and vibrant orange because red would blend too much with the kimono and more fun to work with than a darker shade. I made the hair in layers to achieve some volume, and for that reason, it took me a long time to cut, glue and spray the entire head. It is nerve wrecking because any mistake might ruin the entire doll. I have a love-hate relationship with my glue gun for that very reason. The key to success is time and patience, crafting will definitely teach you patience! The last challenge was his Katana. I really wanted to add it to the doll because I cannot imagine Himura without his sword. I didn’t know what kind of material to use to make one, I had to improvise and think “outside the box”. I ended up using felt and after trying different versions I opted for the one I liked best. (Here is a fun fact about Himura sword, it has a reversed blade which was made that way because he had sworn to never kill again after ending his career as an assassin). I love my little Himura Kenshin, maybe I should consider making a crocheted version of Kaoru to keep him company. I definitely want to make more manga characters, they are so much fun!